We know that growing up gay isn’t all rainbows, and we won’t stop until all of Ireland’s LGBTI+ young people are valued, safe and accepted for who they are. 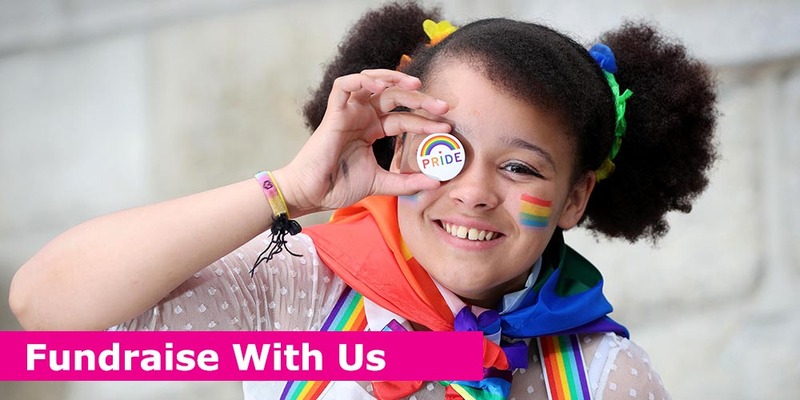 By fundraising with BeLonG To, you can help us make a real difference in the lives of LGBTI+ young people across Ireland. Whether you want to create your own event or take part in a sponsored run, walk or cycle, we are here to support you every step of the way. Will you join us and help make a real difference today? Our fundraising team is on hand to offer you support, ideas, and guidance to make your fundraiser a huge success. Get started with your fundraiser for LGBTI+ young people by ordering a copy of your personal DIY Fundraisers Toolkit below.